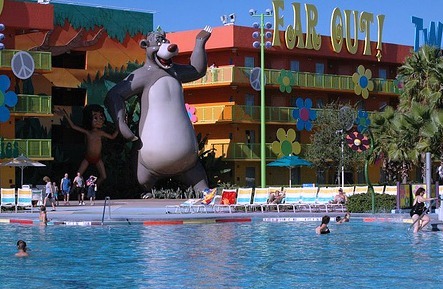 The Disney Pop Century Hotel is a Disney value resort celebrating American Pop Culture from the late 20th century. The resort opened in 2003. Large phrases and icons adorn the four story high buildings creating a colorful and festive atmosphere. 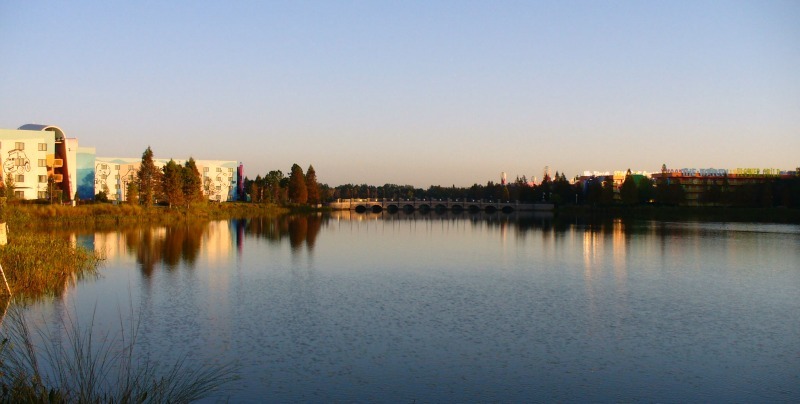 The Disney Pop Century Hotel is situated on Hourglass Lake, across from the Art of Animation Resort. Ten motel-like buildings house 2880 standard sized hotel rooms. Each of the four story high buildings is decked out out with icons like a gigantic Big Wheel, Foosball game, Twister and 8-track tapes. Huge yo-yo's, bowling pins and Rubik's cubes encase the exterior stairwells of the motel-like buildings. The effect is very cute! The Disney value resorts are basic and will meet your needs, especially if you will be spending all your time at the parks. 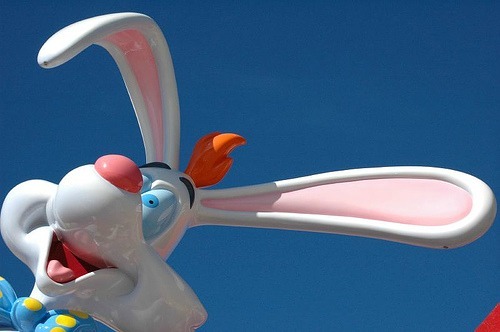 The Disney Pop Century Resort is an attractive alternative to breaking the Disney magic by staying off property. Be forewarned that the hotel frequently hosts large tourist groups. The hotel was originally planned in to open in two phases: The Classic Years and The Legendary Years. The Legendary Years section was planned as the second stage of the construction project & was to include the decades from 1900-1940. The initial phase of the project was started, halted and later changed into the Art of Animation Resort, across the Generation Gap Bridge. I promise to use it only to send you WDW Resort Lovers. Walt Disney World Resorts is not affiliated with or authorized by The Walt Disney Company. Disney artwork, logos, properties, trademarks and trade names are © Disney.